A new visual identity and an extensive website redevelopment were the cornerstones of this rebranding project. The initial marketing and consultation phase was handled by our colleagues at Junxion Strategy. 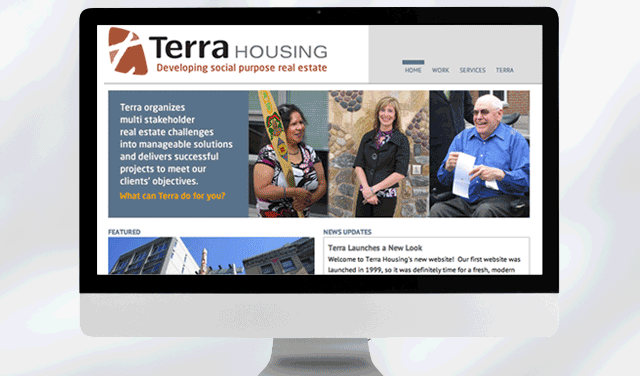 A changing business environment was the main impetus for Terra Housing to redevelop its website and rebrand its identity. At the same time the company wanted to update its in house systems to incorporate new tools and technologies. And it wanted to engage clients in a collaborative online project management system through an intranet as part of its online retooling. In addition to the new website, Terra wanted to introduce an internal system for online communication, project management and collaboration with clients. The company’s original site was more than 10 years old and featured a traditional late 1990s’ brochure-style approach. It was small in scope and hard to read, problems which are addressed in the new site. 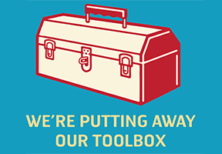 Terra Housing helps non-profit groups and government agencies realize their varied housing objectives. Since 1984 it has worked on more than 260 housing and building projects as well as affordable housing plans and housing portfolio reviews. Terra focuses on financial modeling, project management, capacity building, planning and research. It coordinates the activities of builders, lenders, architects, engineers, code consultants, lawyers, realtors and other professionals. Terra’s outreach aims to expand its presence and awareness among its established audience and help position the organization at the top of its field. Designed a homepage featuring key images and marketing messages, provided excerpts of recent news stories, highlights a feature project.